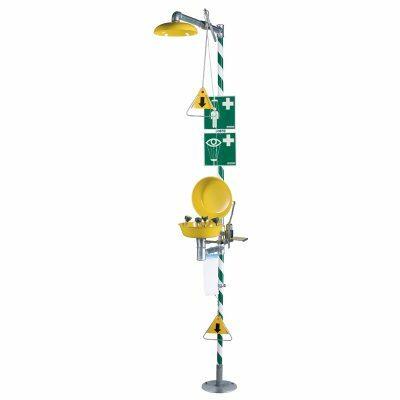 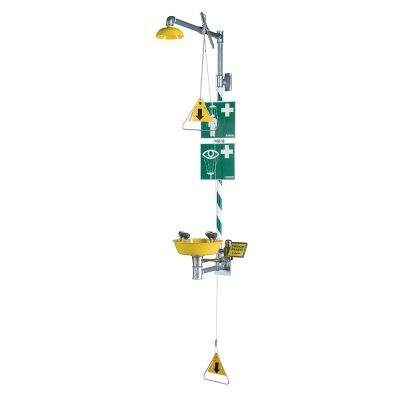 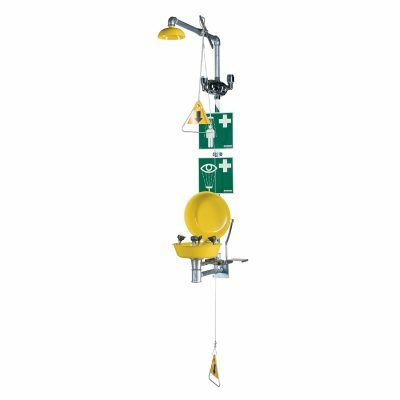 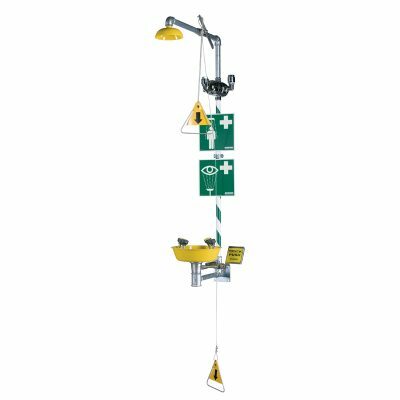 Krusman safety station with tempering on eyewash, galvanized steel pipes, green/white and shower head in powder-coated stainless steel. 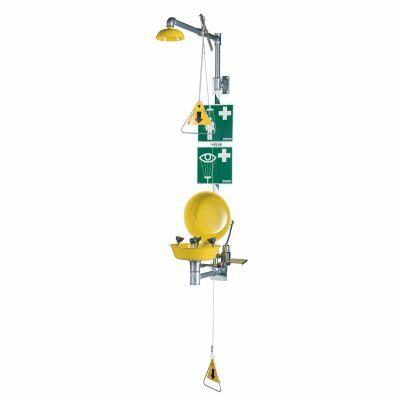 Stay-open ball valve, operated by a pull handle and a pull rod for crawling person. 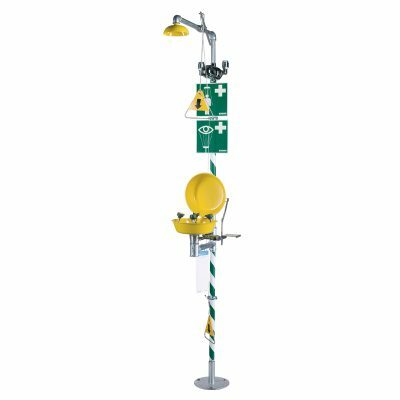 Eyewash 3866, each individual spray head has built-in flow control and filter. 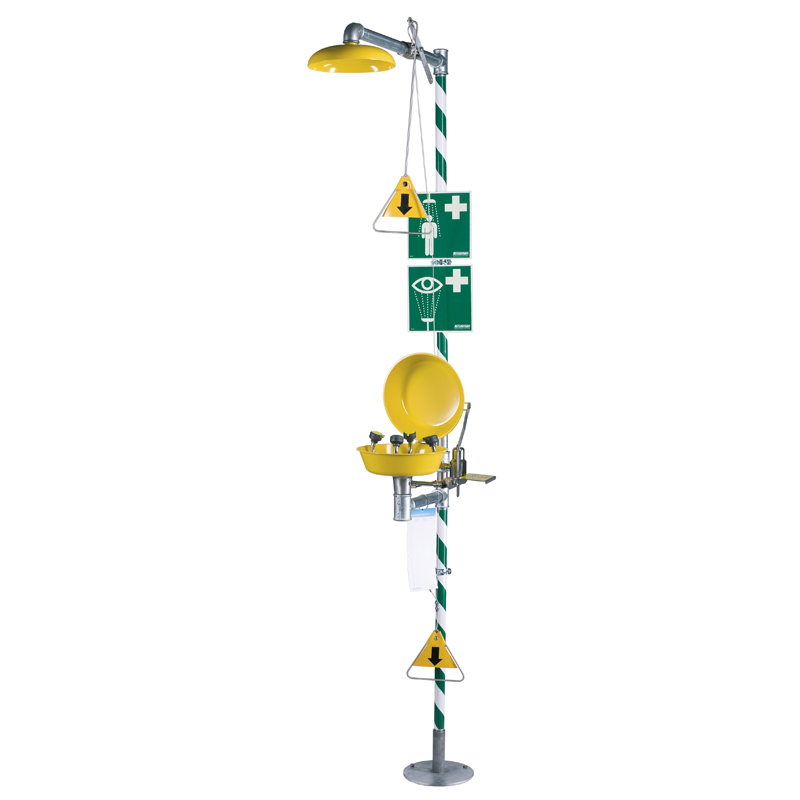 Eye/facewash is self-draining- Designed for minimum flow of 170 l/min at 2.4 bar pressure.